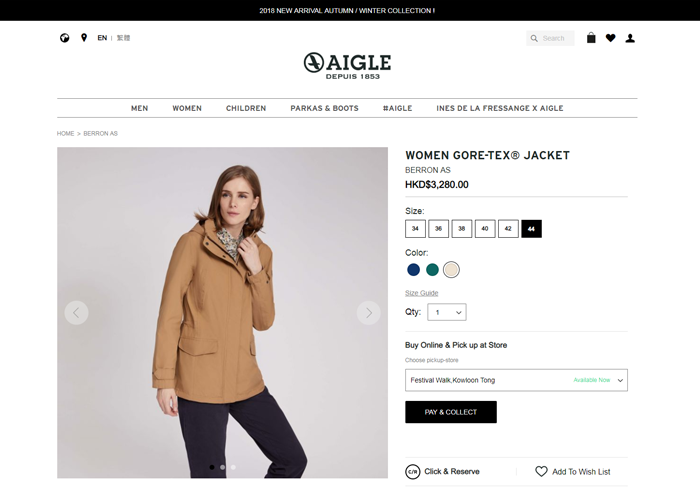 With the well-received Click & Reserve feature launching online last year, AIGLE is now introducing its Pay & Collect service this fall/winter season. Simply visit Aigle.com and shop the styles you desire. You can select the AIGLE store nearest to you from where you can pick up your purchases where it suits you. Members who have registered for this service can enjoy privileges offers, perfectly suited for anyone who is always on-the-go.